Relaxshacks.com: Modern-Art Repurposed Kitchen-Cabinet Window Coverings??? Modern-Art Repurposed Kitchen-Cabinet Window Coverings??? Here's a simple little DIY project I had some fun with… and yes, we'll be making some DIY funky, recycled-material decorations for the TWO cabins we collectively design and build at our Relaxshacks.com Hands-On Tiny House Building Workshop in Memphis, TN- April 11-13th, 2014. SO many great guests and speakers are on our roster too! Here's a little something I made, along many other recycled-material art pieces for my cabins, as the weather wasn't so hot the last few days here in Massachusetts and forced me inside. 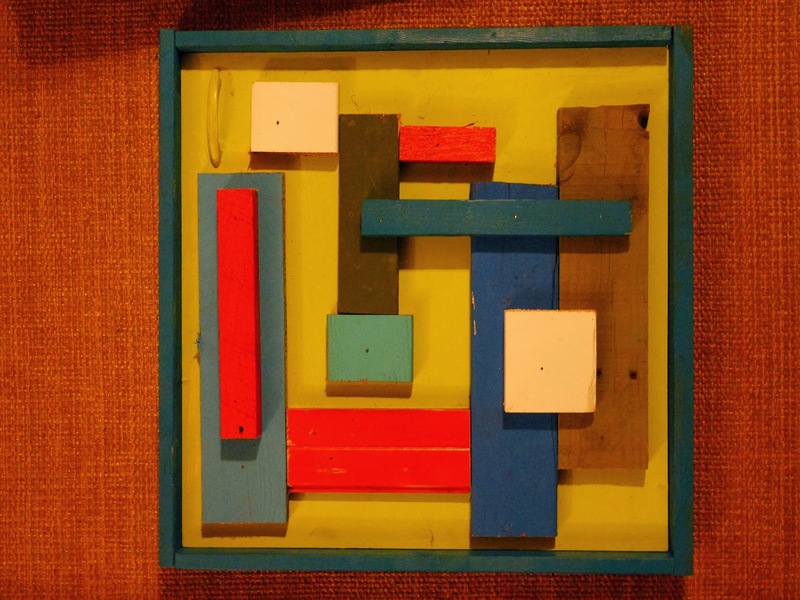 While the winter here can really slow me down in terms of making any progress on the various cabins and tiny houses I've been working on, on the bright side, it does leave me a little time here and there to focus on fun, indoor, activities, as well- such as making this bizarre little modern-art piece out of an old kitchen cabinet door I had been saving for far too long. 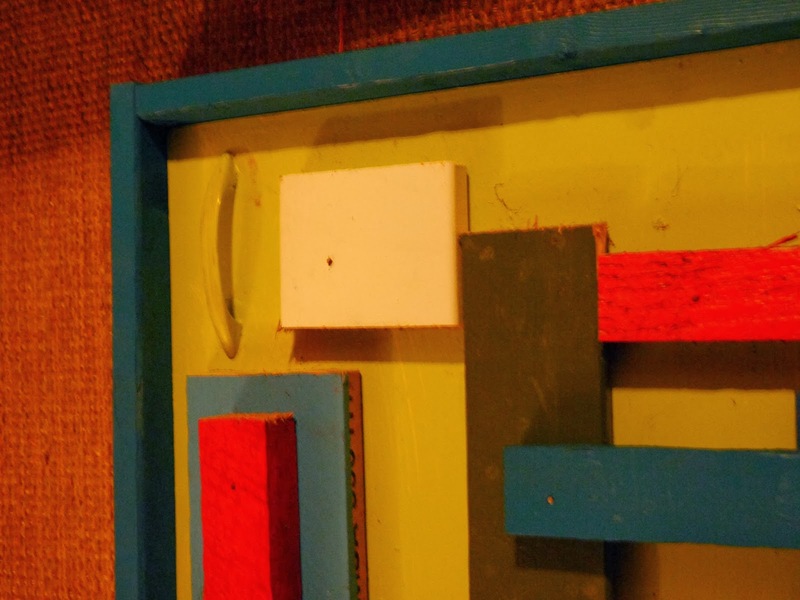 The old cabinet door (thrown out on the sidewalk from a neighbor's renovation) is adorned with a multitude of scrap wood from many projects in the past. Yes, I save just about everything, but its only because I know I'll always find a use for it. So the idea: Aside from being a wall hanging, made from salvaged and free materials that could add some color to a room, this repurposed-cabinet door could serve as a window covering, in lieu of a shade or blind, that swings to close a window, and when in closed mode, serves as interesting art. You could even decorate the inside of the door, so that when open, it stands as an art piece as well. Here's a closer shot, where it shows the 1960s/70s looking handle- one I left attached so that a clue as to what this used to be, would be evident.